Aryeh Frankfurter : Aurora of the Northern Harp. Timeless and enchanting folk music for the soul. Bask in the aural aurora of traditional folk music from Sweden, Norway and Finland. This album will take you on an exciting and exotic instrumental journey to lands of herding calls, polskas, hallings, waltzes and airs - all arranged for Celtic harp and creatively self-accompanied on a panoply of traditional acoustic instruments. Passionate and exuberant, haunting and romantic, lyrical and playful. Always inspiring and evocative. Like Harp Songs of the Midnight Sun, this recording draws on music from Scandinavia. I consider it to be my most exotic, diverse and adventurous recording. Beautiful, but exciting and passionate, this album is not something you put on for background music. Rather it rewards close attention and repeated listenings. A favorite among my musician friends and recommended to audiophiles and classical music enthusiasts. License Timeless and enchanting folk music for the soul by Aryeh Frankfurter for your project. Play the music of Aryeh Frankfurter in your restaurant or store. 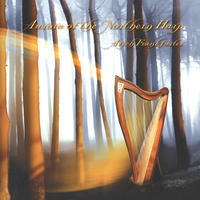 Secret Songs by Lisa Lynne: Inspirational, uplifting, gentle, and soothing Celtic harp, World flutes, guitar and more. New Morning by Lisa Lynne: Inspirational, uplifting, gentle, and soothing Celtic harp, World flutes, guitar and more.